I simply can not believe that summer is almost over! 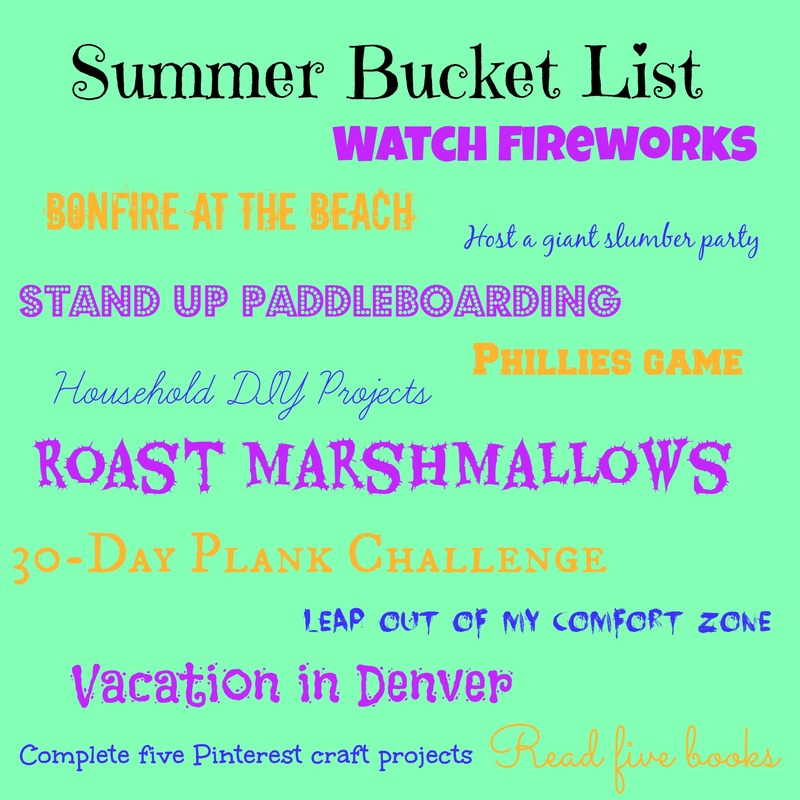 Summer doesn’t officially end until September 22nd, but since Labor Day weekend marks the unofficial end of summer, I thought it would be a good idea to look back at my Summer Bucket List and see how I did! Watch fireworks – Y’all I saw some amazing fireworks this summer! We were in Denver for the 4th of July and from our balcony we could see more than 20 different fireworks displays! We saw the displays at Coors Field, Sports Authority Field at Mile High and fireworks from lots of communities surrounding Denver! Bonfire at the beach – Not yet, but it’s happening next week! Host a giant slumber party – I got to do this not once, but twice! First I went to summer camp with middle schoolers so I was lucky enough to share a cabin with 15 middle school girls…don’t be jealous! Then in Denver I hosted a total of about 25 people over the 12 days I was there…so much fun! 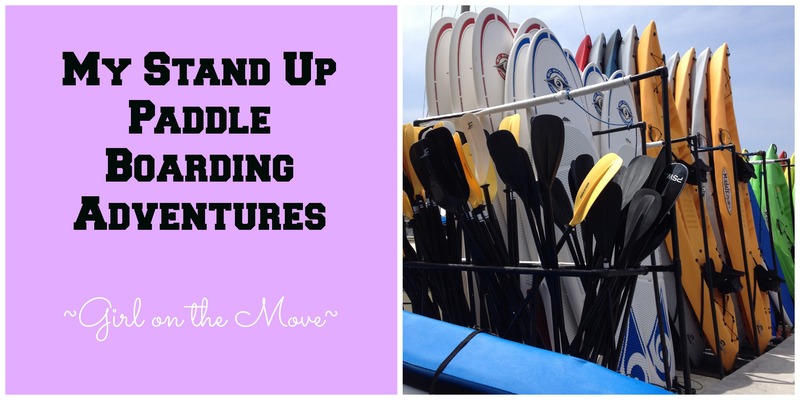 Stand up paddleboarding – I tried SUP and I only fell in the water twice…so that’s not too bad for a first try! Roast marshmallows – Does it count if we ended up having to roast the marshmallows in the microwave?!? Leap out of my comfort zone – This happened. I promise. And next Friday I will be sharing a post with all of the details so come back next Friday to hear all about it! Vacation in Denver – I spent twelve days in Denver and loved every minute of it! I had quite a few yummy breakfasts and adventures in Denver! Visit a few new cupcake shops – Definitely checked this off the list! I couldn’t even begin to list my favorites but here are a few of the ones I went to this summer…Mountain Cupcakes, Church of Cupcakes, and Pinky’s! Try 3 new classes at the gym – Well, at least I can say I tried three new classes, although I wouldn’t say I was very good at some of these classes! Usually on Wednesdays I post about my cupcake adventures but I wanted to take a quick break and answer the most common questions I am asked about cupcakes! And if you have any additional questions, leave them in the comments and I’ll answer them! How do you eat all of those cupcakes and not weigh 300 pounds? Hands down, this is the question I am asked the most often and I actually think the answer is pretty simple. I average close to 1 cupcake a week but that’s really my only indulgence. Outside of that one cupcake I eat a pretty clean diet and I love running so I think that’s why I don’t weigh 300 pounds. Do you have a favorite cupcake shop? Sweet and Saucy is where everything started so they’ll always hold a special place in my heart. I also love the concept behind Church of Cupcakes in Denver so they’re pretty high on my list. And Brown Betty Dessert Boutique in Philadelphia is just downright delicious! And if you want to check out the other cupcake shops I’ve been visited, you can explore more of my Cupcake Adventures. What is the cupcake trifecta? -There is a balanced ratio of cake to frosting…too much or too little frosting just doesn’t do it for me! How do you find new cupcake shops to try? Will you come try our cupcakes? I’d absolutely love to come and try your cupcakes! If your cupcake shop fits in with my upcoming travel plans I would be happy to come and check it out! You can get my contact information on my Contact page so we can get in touch! Do you ever have cupcakes that you don’t like? Rarely. But I’ll be honest, it happens. There has only been one cupcake shop I regret blogging about because the cupcakes weren’t really that good and I struggled with what to say. But I was committed, so I wrote the post anyways. And there have two or three times when I’ve had a cupcake and not blogged about it because I didn’t like it. But hey, 3 out of 75 isn’t bad! I am a sucker for anything with salted caramel. And I also just love a traditional vanilla cupcake with buttercream frosting. Oh, and cream cheese frosting…that’ll get me every time! So I’d love to hear from you…where should I visit next? And what other cupcake questions do you have? Since some of you are new to my blog, I thought I would introduce myself to you and give you a little tour around my little space on the Internet! And if you’ve been a reader for a while, here’s your chance to find out a little bit more about me! If you want to know more about what I do for my “day job,” start with this post about how retired before I turned 30 and what I’ve been doing since then…hint, it’s not sitting around and eating bon bons! I like pop music like a I’m 13-year-old girl. One Direction… I can sing all of the words to Story of my Life. I’m not proud of this, but it is what it is! I am SUPER particular about my bananas. Like there is approximately a 36-hour window in which I like eating bananas. No need to make fun of me for this one, my family already does! I am borderline OCD when it comes to organization. I don’t like things out of place. I love to plan parties and organize events. The OCD comes in handy with this one. I find it incredibly relaxing to curl my hair. If I’m really stressed you’ll know because my entire head of hair will be incredibly curly…and my hair is naturally stick straight! Still want to know more? Check out my About Me page and some fun facts I shared last week on the blog! If you are new to my blog, thanks for stopping by…I’ll hope you’ll back and I’d love to connect with you on social media! If you are a regular reader, you are why I blog so thank you for stopping by! And since I shared about me, I’d love to learn something about you so comment below with something interesting about you! Some of the cupcake shops I visit I find completely on a whim, others I find when I am planning a trip, and others are recommended to me over and over again. Twenty-Five Main Cafe & Cake Parlor is the latter. I’ve had quite a few people recommend Twenty-Five Main to me so I figured if I was going to be passing through St. George I should stop in…turns out I now understand why so many people recommended this place! 1. They have a full cafe which serves breakfast and I’ll never tell you that you can’t have a cupcake with breakfast…I say you only live once so go for it! 2. They offer a regular menu of cupcakes plus daily and monthly specials…meaning you can go in there any day of the week and you’ll find some yummy cupcakes waiting for you! 3. They do the basics right. Sometimes people get so focused on making cupcakes as creative as possible that they forget to make them really well. 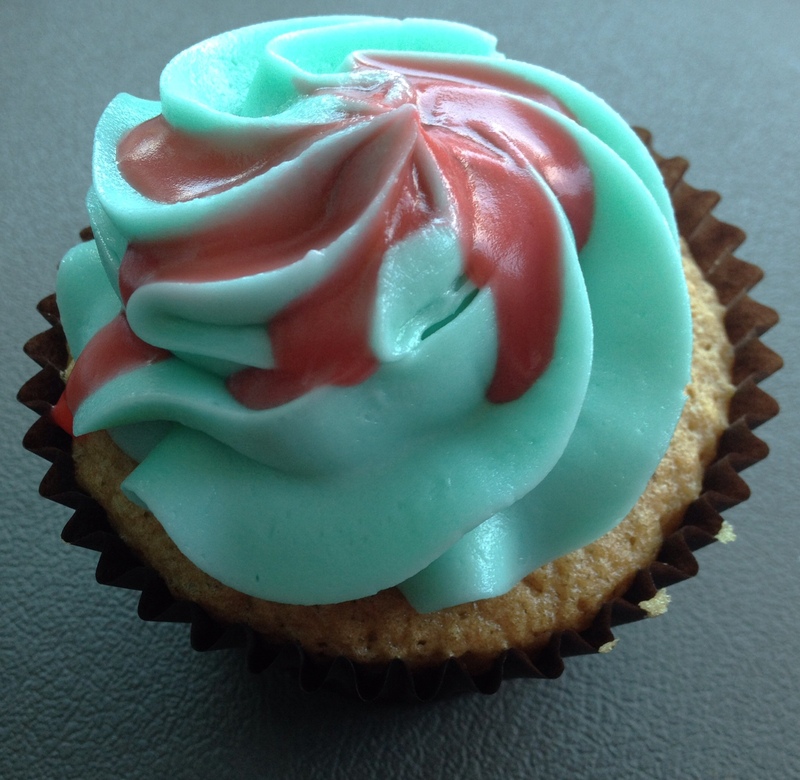 One of the cupcakes I tried was a Vanilla Creme and let me tell you…it was amazing! 4. 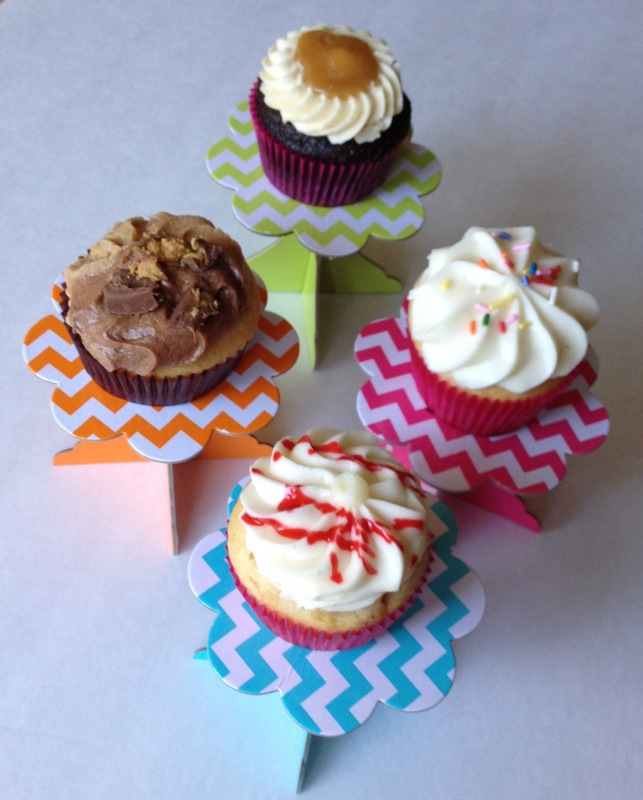 They hit the cupcake trifecta…moist, frosting’s not too sweet, and a perfect cake to frosting ratio! 5. They feature a Cinnamon Roll cupcake some days…that’s just pure genius! If you are ever passing through St. George, Utah, I’d highly recommend stopping in 25 Main! 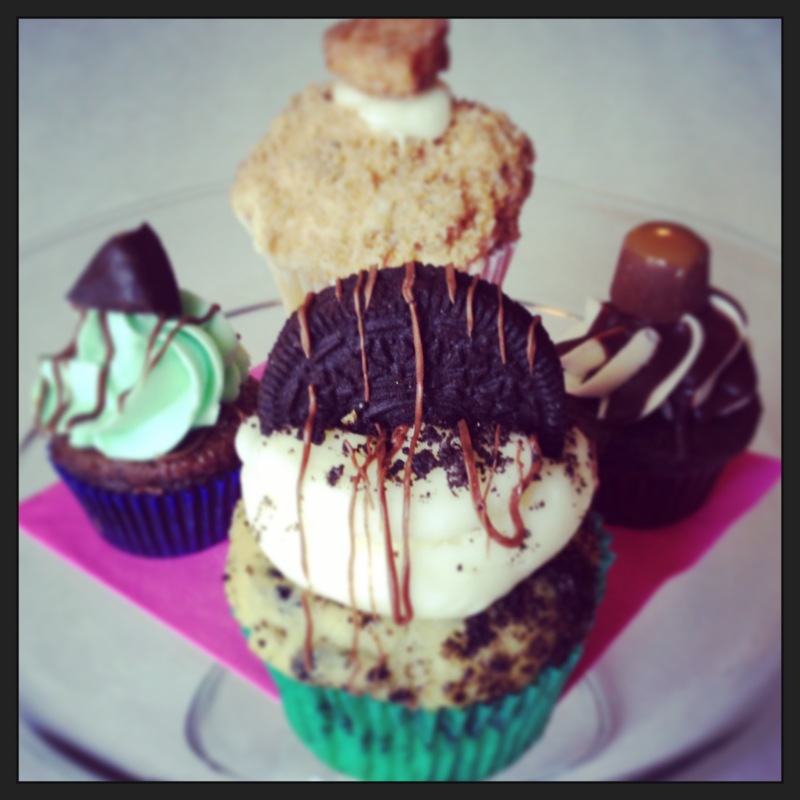 If you could design a cupcake, what flavor would you want to create? 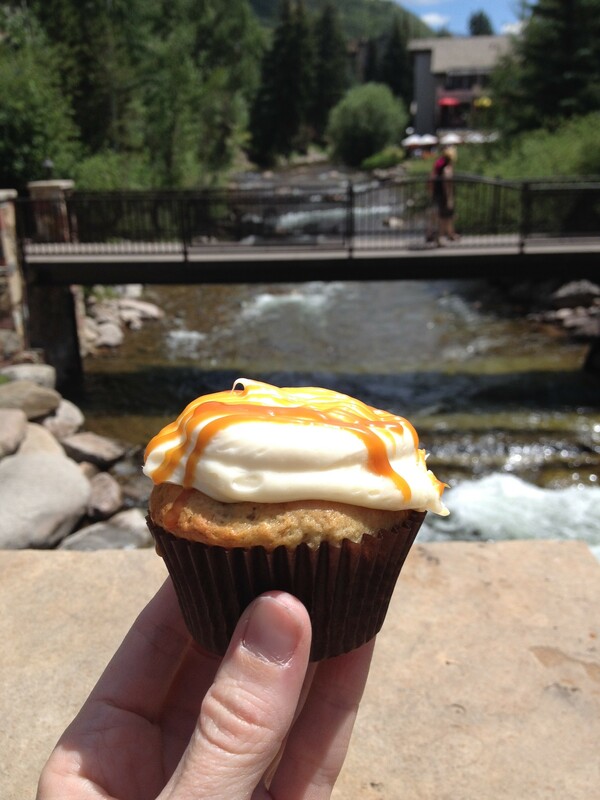 Before I get to the wonderfulness that is the cupcakes of Mountain Cupcakes I just want to say that I have officially added something new to my bucket list…vacation in a Colorado mountain town like Vail…how have I never spent any time here before?!? Vail Village was absolutely adorable and while I was wondering through the town I had visions of gently falling snow, twinkling lights, and a cup of hot chocolate…clearly we know where I want to go this winter! 1. Their cupcakes are made fresh daily. As in every morning before they open for business Lauren is at the shop baking cupcakes…doesn’t get much fresher than that! 2. One thing I quickly learned during my time in Colorado is that the air is dry…my skin felt lizard-like while I was there and I used a lot of moisturizer! What I didn’t think about was how that affects the moistness of cupcakes (and y’all know how I feel about moist cupcakes! )…basically making a “regular” cupcake isn’t going to cut it up in Vail because it would be too dry. So Lauren really worked with her recipes to make sure they’re moist…I love that commitment to getting the cupcakes perfect! 3. There is cream cheese frosting. Which is pretty much one of my weaknesses. So I got a moist cupcake with just the right amount of not-too-sweet frosting…cupcake trifecta! 4. The caramel and chocolate sauces used on the cupcakes is homemade. And I think you can tell the difference…and it’s totally worth it! 5. They also serve breakfast…so now I know where to go when I’m in Vail for a yummy breakfast! Even though it’s still summer, going to Vail has me excited for winter! What is your favorite winter time activity? 1. Y’all, these are “grown-up” cupcakes. Meaning they are alcohol infused. Do I need to say anything else?!? 2. Even though I shouldn’t need to give you any more reasons to love these cupcakes, my OCD tendencies demand that I complete the list of 5 things…because all of the cupcake posts have 5 things. And I like things to be neat and orderly like that. 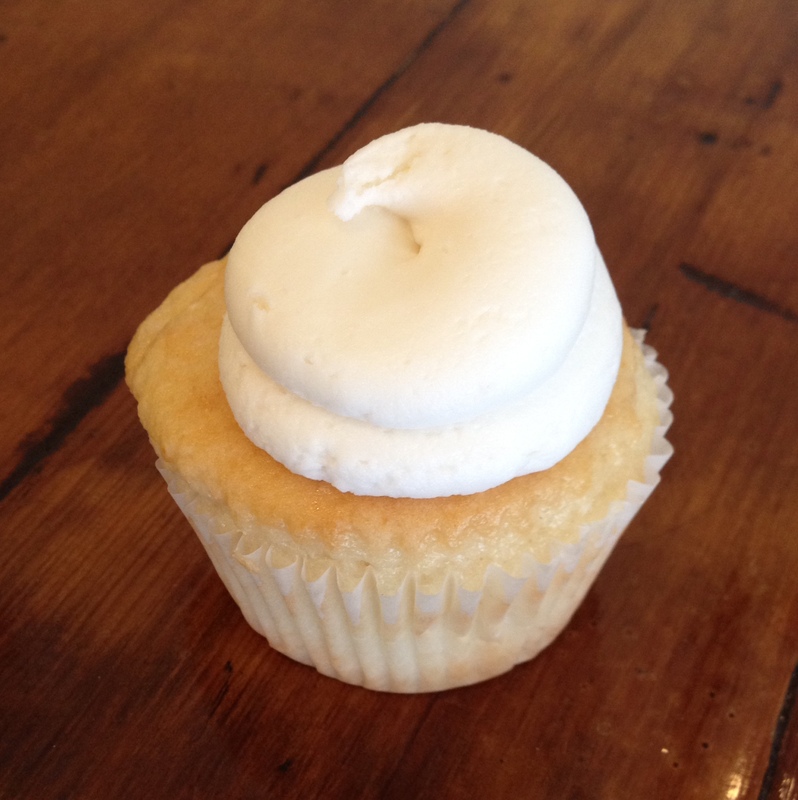 So I loved how light and airy the cupcake tasted…just as a cupcake should! 3. Absolutely gorgeous colors! Do you see the picture of the Tiffany Bluetini cupcake above? The color combination simply makes my heart melt. 4. They hit the cupcake trifecta at Tipsy Cupcakes…moist cake, frosting that isn’t too sweet, and a great cake to frosting ratio…I’ve been on a roll lately with the shops I’ve visited in regards to finding the cupcake trifecta! 5. These cupcakes are alcohol-infused. I know that was my #1 but I loved it so much I thought it was worth repeating! Next time I’m definitely getting the Tequila Lime Margarita cupcake! What grown-up beverage would you most want to turn into a cupcake? Any thoughts on where I should head next on my cupcake adventures?